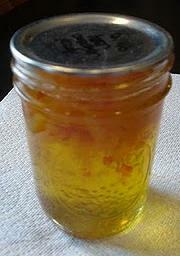 Apricot Jalapeno Jelly - Canning Homemade! I have realized that I am really enjoying adding the vanilla paste to some of my basic preserve recipes since it is a subtle taste and doesn't really over power the fantastic fruit. The Vanilla paste I buy is from William Sonoma and it’s about $11 but goes a long way since you don't need to add more than a teaspoon. It is thick like a syrup and has flecks of the vanilla bean in it. My hubby used my last bottle making vanilla ice cream from scratch which was also super yummy and was kind enough to pick me up another bottle for my canning and baking. anytime. Here is the recipe and this is just as good, maybe better than the one at the store! Combine peppers, vinegar, and jalapeño peppers in a blender or food processor if you don't dice well. Combine with apricot slivers and sugar in saucepan; bring to boil. Boil and stir 5 minutes. Remove from heat; skim off any foam, stir in pectin. Pour into sterilized jars; seal at once. 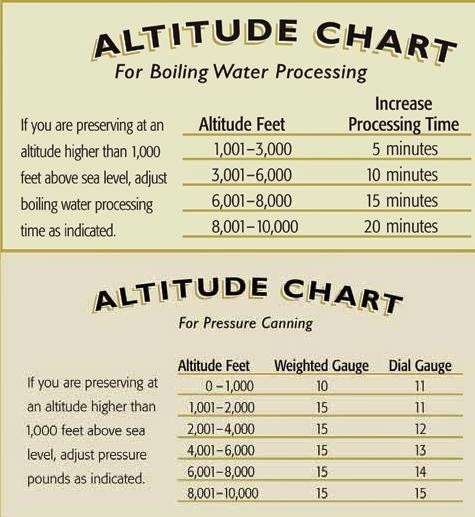 Process in boiling water bath 15 minutes. This recipe yields 6 1/2 cups.